Young adults with type 2 diabetes (T2D, 18–39 years) experience early-onset and rapid progression of diabetic retinopathy (DR), the leading cause of vision loss for working age adults. Despite this, uptake of retinal screening, the crucial first step in preventing vision loss from DR, is low. The aim of this review is to summarize the clinical and psychosocial factors affecting uptake of retinal screening. Barriers include lack of diabetes-related symptoms, low personal DR risk perception, high rates of depression and diabetes-related distress, fatalism about inevitability of complications, time and financial constraints, disengagement with existing diabetes self-management services, and perceived stigma due to having a condition associated with older adults. Young adults with T2D are an under-researched population who face an accumulation of barriers to retinal screening. Tailored interventions that address the needs, characteristics, and priorities of young adults with T2D are warranted. Amelia Lake was supported by a Deakin University, School of Psychology Higher Degree Research publication award. Jane Speight is the Foundation Director of the Australian Centre for Behavioural Research in Diabetes, with core funding provided by a collaboration between Diabetes Victoria and Deakin University. A. J. Lake, G. Rees, and J. Speight declare that they have no conflict of interest. The studies involving human participants, which were conducted by the authors and which are contained in this review, were conducted in accordance with the ethical standards of the institutional and/or national research committee and with the 1964 Helsinki declaration and its later amendments or comparable ethical standards. Informed consent was obtained from all individual participants included in the studies. Mitchell P, Foran S. Guidelines for the management of diabetic retinopathy. National Health and Medical Research Council, Commonwealth of Australia. 2008. https://www.nhmrc.gov.au/_files_nhmrc/publications/attachments/di15.pdf. Accessed 22 Aug 2017. National Institute for health and Care Excellence. Type 2 diabetes in adults: management NICE guideline [NG28]. 2015. https://www.nice.org.uk/guidance/ng28/chapter/1-Recommendations#managing-complications. Accessed 22 Aug 2017. Villarroel MA, Vahratian A, Ward BW. Health care utilization among U.S. adults with diagnosed diabetes, 2013. In: National Centre for Health Statistics Data Brief. US Department of Health and Human Services. 2015. www.cdc.gov/nchs/data/databriefs/db183.pdf. Accessed 22 Aug 2017. • Bo A, Thomsen RW, Nielsen JS, Nicolaisen SK, Beck-Nielsen H, Rungby J et al. Early-onset type 2 diabetes: age gradient in clinical and behavioural risk factors in 5115 persons with newly diagnosed type 2 diabetes—results from the DD2 study. Diabetes/Metab Res Rev. 2017:n/a-n/a. https://doi.org/10.1002/dmrr.2968. 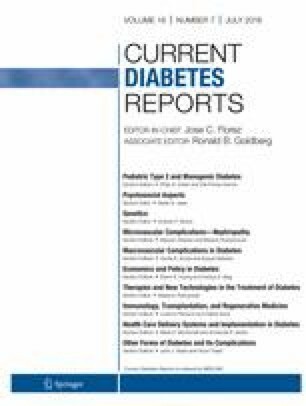 This paper summarizes clinical and behavioral risk factors for people diagnosed with T2D before aged 45 years compared with older age at diagnosis groupings (46–55 years, 56–65 years, 66–75 years, and > 75 years). Diabetes Australia. Young adults with diabetes needs analysis. Diabetes Australia, Canberra, Canberra. 2006. http://static.diabetesaustralia.com.au/s/fileassets/diabetes-australia/6321f173-1642-42ed-8501-e95dc1ffa189.pdf. Accessed 22 Aug 2017. Wilson JMG, Jungner G. Principles and practice of screening for disease. In: Public Health Papers No.34. 1968. www.who.int/bulletin/volumes/86/4/07-050112bp.pdf. Accessed 23 Nov 2017. Hendrieckx C, Halliday JA, Beeney LJ, Speight J. Diabetes and emotional health : a handbook for health professionals supporting adults with type 1 or type 2 diabetes. Australian Centre for Behavioural Research in Diabetes Melbourne 2016. https://nla.gov.au/anbd.bib-an58852017. Accessed 12 Apr 2018.